Spring is not only a good time of year to see showy wildflowers in bloom, it is also a good time of year to check out the flowers of some of our frequently overlooked native grasses and sedges. There are so many species of grasses and sedges out there and their habitat preferences are just as varied. Most are quite a challenge to identify in my opinion. One must take a microscopic view of the flowering structures along with the seeds to really narrow it down. Either way, you don't necessarily need to know what species it is to enjoy it. Get down and take a look at how each species presents its flowers. The structures can be quite elaborate and, with the aid of a hand lens, quite beautiful. Being mostly wind pollinated, there tends to be a pattern in which anthers are placed on top of the flowering spike and stigmas tucked below. 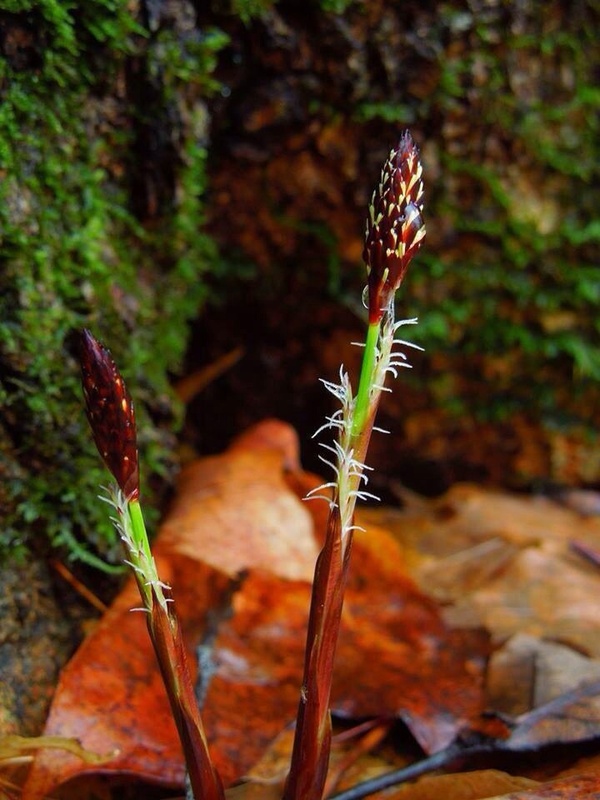 Sedges and grasses also occupy a very important ecological role in communities where they are native. They are food plants, shelter plants, and soil stabilizers. They can even serve as a growth surface for other plant species. Many different kinds of birds will nest in and around grasses and sedges as well. Some species are pivotal in the succession of different habitat types. Take some time to get to know these great plants. More nurseries are beginning to wake up to their potential as landscape plants. Definitely consider some species that are native to your neck of the woods next time you are in the mood for some gardening.